The 2012 Texas wine harvest is getting into full swing. I attended Messina Hof's Moonlit Harvest celebration in Bryan, Texas on the weekend before last and I really did enjoy my time there. The owners of the winery, Paul and Merrill Bonarrigo, are pioneers in the Texas wine industry and have been operating at that location since 1977. They planned a fun evening for some consumers and local media to kick off their harvest celebration. As it had been several years since I had been out there, I was interested to see what all had changed and Paul accommodated our group with a tour. 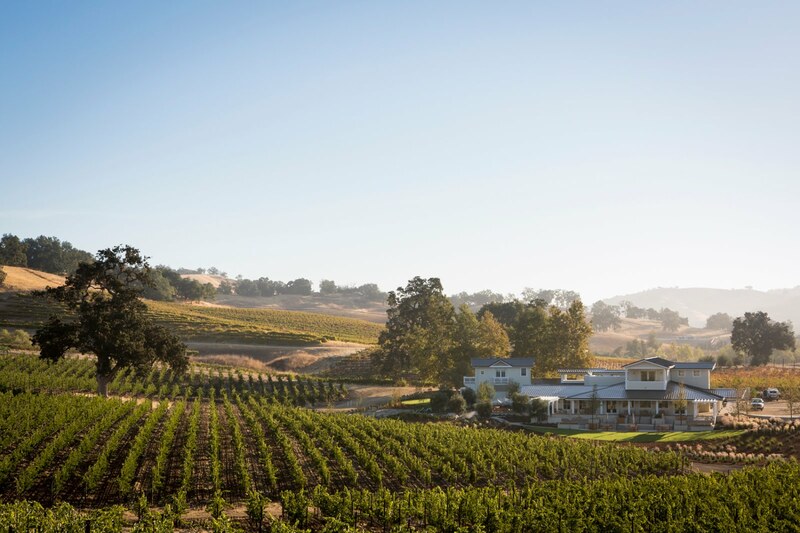 In addition to being a fully operating vineyard and winery, there is also a four suite bed and breakfast resort for overnight stays, a locovore restaurant called the Vintage House and their Winemaster's Wine Bar pouring numerous selections by the glass. I had not seen the resort so I was curious to check it out as I have stayed in some questionably decorated Texas bed and breakfasts in the past. The resort has an eclectic mix of furnishings from the Bonarrigo's travels starting with the front door which came from Louis Pasteur's home. Inside, there are Bavarian chandeliers and Spanish stained glass mixed with family heirlooms creating a comfortable atmosphere of understated elegance. 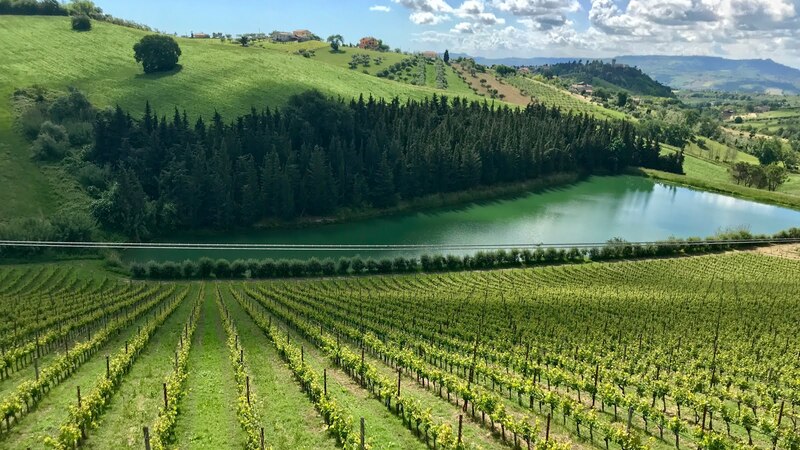 In addition to the regular winery guests, they also host weddings which can be officiated by winemaker/owner Paul showing the Bonarrigo's commitment to full service Texas hospitality at their property. After the tour, we were given our pruning knives and let loose in the vineyard to harvest some rows of Lenoir grapes. The Bonarrigo's were kind enough to include my husband in the group and it turned out that he is quite the competitive harvester. I think we may have found him a new career after his retirement from his real job. 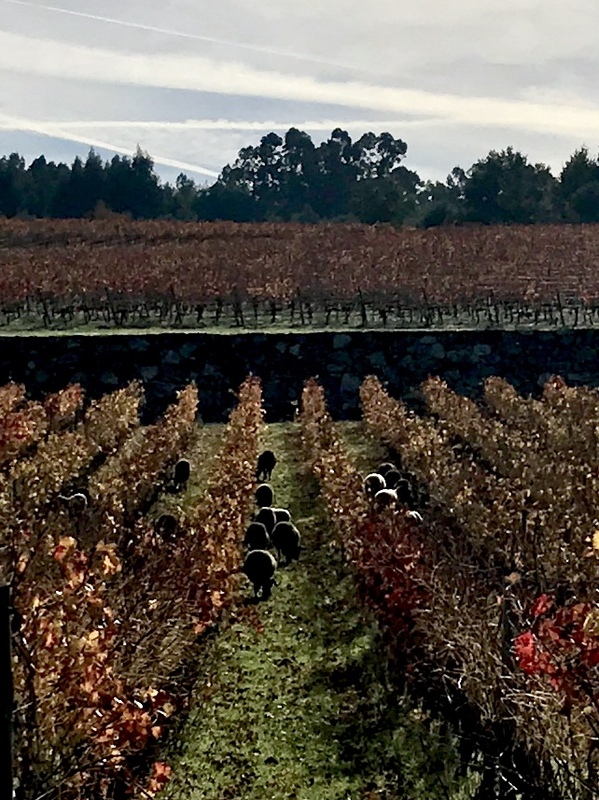 It took me awhile to get around to writing this up because I got sidetracked reading all about the history of the Lenoir grape online. There is a bit of a mystery about its origin and confusion because of its many names. The gist of my reading- A vitis vinifera French grape that was brought to the US and crossed (either naturally or by an unknown viticulturist) with an American vitis aestivalis that was then moved across the South creating the Texas hybrid grape that we now know as Lenoir. 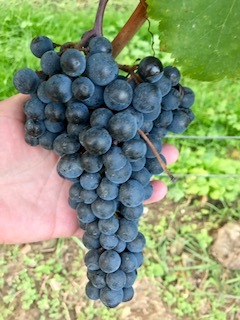 The Lenoir grape is unusual as its juice is actually red rather than the clear juice of most black grapes. After harvesting, we cleaned up and I, along with some others, jumped into the vat to stomp some grapes. It was interesting to actually feel the temperature began to rise as the fermentation began. Stompers then got to make a souvenir t-shirt with their purple grape-stained footprints. After another cleanup, we headed up to a dinner buffet with an array of Messina Hof wines. I was particularly curious to try the Sophia Marie Rose wine which is made from the Lenoir grapes we had just harvested and stomped. This is their driest Rose and the wine that I enjoyed through most of my dinner. I was sticking mainly to the chilled wines as it is hot in the middle of the Texas summer. Other wines that I sampled and enjoyed were the Chenin Blanc and the Pinot Grigio. 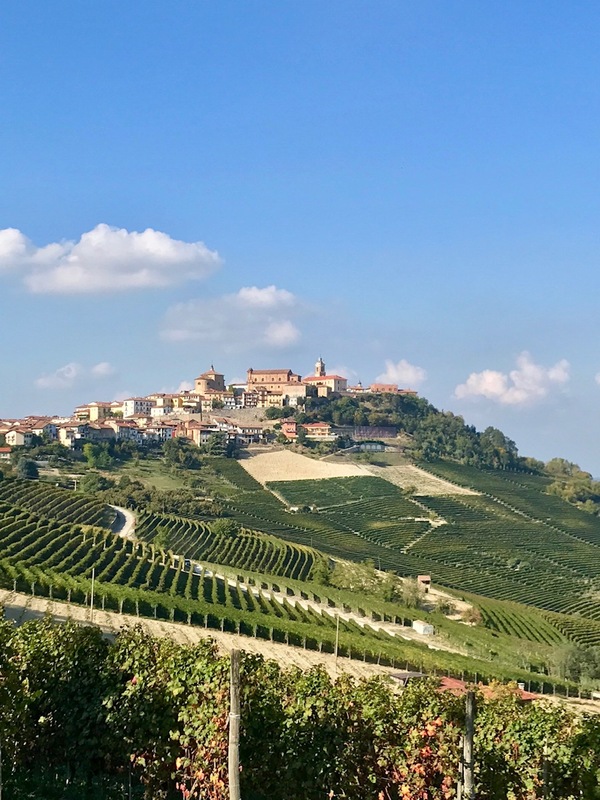 Messina Hof makes eighteen different varietal wines. 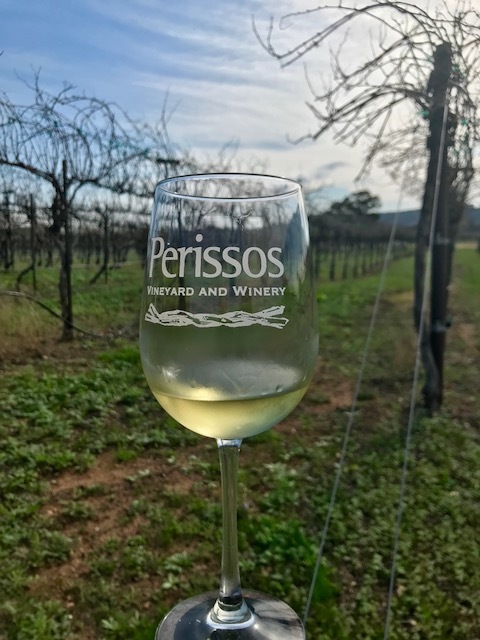 They have another winery in the Texas Hill Country and, in addition to their on site vineyards, they also source grapes from the Texas High Plains AVA. Harvest activities at Messina Hof continue through the Black Tie Gala on August 18. The complete event schedule along with event prices is online at www.messinahof.com. Thank you so much for coming! We appreciate you being part of vintage 2012.